This statistic shows the frequency with which respondents visited social networking sites in the United Kingdom (UK) in 2015, by socio-economic group. Of respondents with current social networking site profiles in the AB social grade, 19 percent reported visiting more than ten times a day. 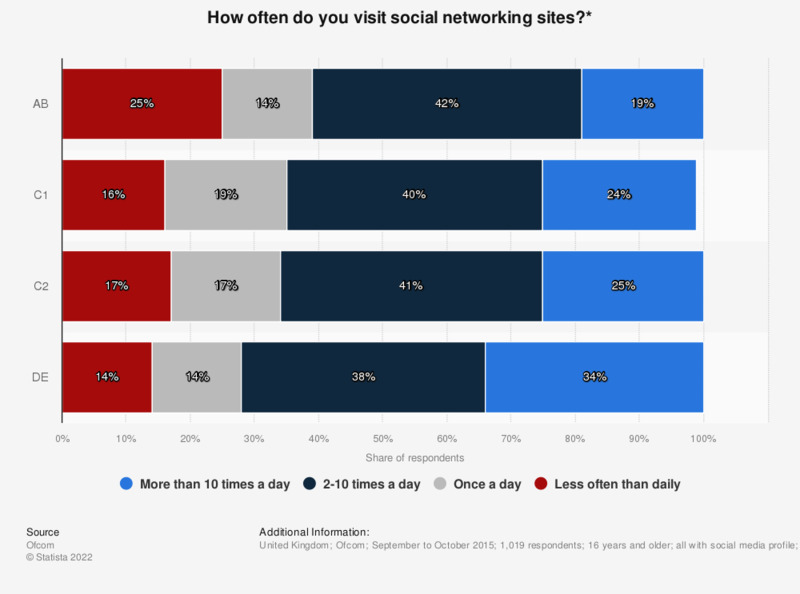 In comparison with other social grades this was the smallest share other social grades amore likely to visit social media sites more than 10 times a day. * The original survey question was: "How often do you visit any social media sites or apps, using any device?" The source did not provide a definition of the socio-economic groups.